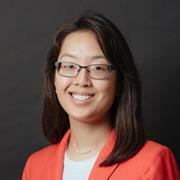 Dr. Karin Wang is an Assistant Professor in the Department of Bioengineering at Temple College of Engineering. Prior to joining Temple, Dr. Wang worked as a Postdoctoral Fellow in the Program of Molecular and Integrative Physiological Sciences of the Department of Environmental Health at Harvard University. She received her PhD in Biomedical Engineering in 2015 from Cornell University. Her main research interest is in cell and matrix mechanobiology. Specifically, she is integrating principles from tissue engineering, biomaterials science, physics, and cell biology to develop model systems and tools that probe cell-matrix interactions for biomedical applications. Using this interdisciplinary approach, the Wang Lab aims to identify and regulate the key mechanobiological drivers of a range of human diseases, with a particular focus on cancer metastasis.